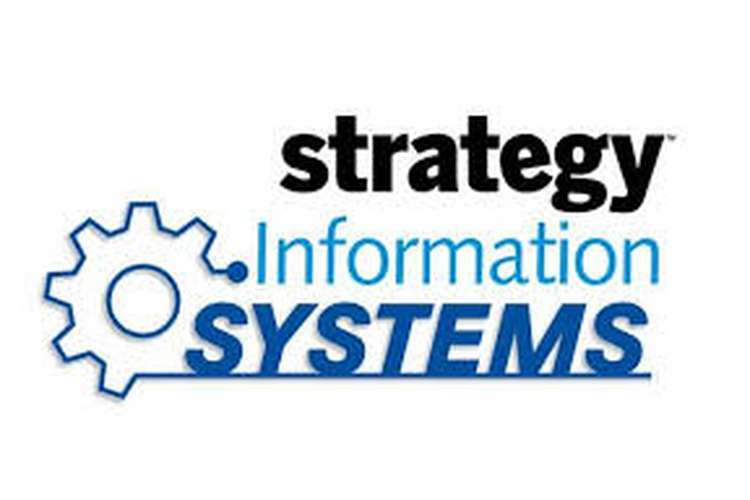 This information system for business assignment help which is developed in reaction to business initiatives of the corporate sector is known as strategic information system or SIS. E-commerce companies are those who is concerned with the online service to customers. For example, eBay Inc. is an e-commerce company. It is an American multinational electronic commerce and corporate business. The company provides business-to-business as well as consumer-to-consumer retailing service through the internet. The companies headquarter situated in San Jose, California. In 1995, Pierre Omidyar founded the company and became a prominent example of overcoming the adversity of the dot-com bubble. Their main competitor is Amazon. It is a systematic method of extracting information from data. EBay use data mining for understanding query intent of the user (Collier, 2004). Data mining helps the user to search product and recommend similar products. It also contributes to detecting fraud and business process intelligence. According to Tom Fastener, business intelligence is their DNA. He is the senior member of architect and technical staff at eBay (Collier, & Collier, 2009). With the help of business intelligence, the company tracks 170 million keywords and after tracking, they figure out how much they are willing to bid at Google. In eBay, 90 Petabytes of data are stored which is utilized for customer transactions. In a data warehouse, 7.5 Petabytes of data are stored (WANG, ZHOU, & LE, 2014). Data warehouse creates a permanent storage space for the data required for supporting analysis, reporting, and other business intelligence functions. The database works with a database management system. EBay use Oracle as their DBMS software. The company uses DBMS to store, retrieve, insert, delete and modify data of customers as well as data on specific products (Cheng, Maniu, & Senellart, 2014). For example, when the stock gets empty, then the stock is added by taking help from Oracle. Since eBay is an e-commerce business company, so the customers use eBay via online. If a customer demands to use eBay, then he or she needs to open an account on the eBay website before his or her purchase. EBay developed Verified Rights Owner program which facilitates cooperation between the rights owner and eBay shielding their logical property rights. During home delivery of products, this technology helps in supply chain management. It ensures that proper merchandise is available in the correct place with zero errors and no inconsistencies (Hunt, Puglia, & Puglia, 2007). RFID helps manufacturers to get benefits from increased information based on maintenance and repairing of their machines. VAN is mainly concerned with the use of common carrier’s phone lines for allowing B2B network communication (Svoboda, 2004). The utilization of a VAN gives communication channels among trading partners and supply chain and allows transmission of information and its interpretation between formats. EDI can accelerate eBay’s business cycles by 61 present. Trade exchanges in minutes rather than the days or weeks of hold up time from the postal service (Gizzi, 2009). It can decrease the request to money cycle time by more than 20 parent and thus enhancing the partner business partner exchanges and connections. In 2002, eBay entered China by securing EachNet. It is a leading auction site in China and was successful in capturing a considerable share of the Chinese e-commerce market. Though, by 2005, eBay was unsuccessful in attracting the Chinese customers. However, the organization demonstrated its Chinese site on the lines of its successful international site. EBay also encountered extreme competition from nearby e-commerce companies (Li, Li, & Lin, 2008). For example, Taobao.com. Presently, numerous customers use The Internet at low-speed interfaces that take quite a while to download web pages. Even, however, technologies like cable modems and those based on ADSL and ISDN are being presented into individual markets. They are very costly, and it is not widely available. The competitors on eBay may play a trap by pretending to be a buyer. They purchase a product from a seller and after that claim that the product is awful. Along these lines of leaving negative comments may push business back of the vendor (Onur, 2010). Though, eBay knows this probability and checks this sort of fake feedback. If a person opens eBay account as an individual record, then he or she cannot do numerous things allowed for an eBay business record like no potential can increase per exchange limit beyond 500 dollars. For eBay organization, the most perceptible benefits for utilizing e-commerce are the decreased cost connected with it, the increased consumer loyalty, the more widespread client base as well as the possibly higher deals it produces. Since e-commerce exchanges are done through a website and not a mortar and brick store, a significant part of the overhead connected with operating a retail location is decreased (Sinclair, & Spillane, 2004). The requirement to pay for restocking, lighting, heating and staffing a store is wiped out. This outcome in fewer employees and tinier offices which thus takes into account bigger increases in capitals. Flexibility to develop with changing business necessities. Extended abilities of essential applications. Protection against upcoming update paths. The business based on e-commerce implementation is continuously developing and is becoming more and more crucial to business as technology continues to advance. It is something that should be taken benefits of and executed. In today's generation, e-commerce business flourished, and the customer demands increased. If the proper approaches and practices are followed, then business will flourish in e-commerce background with much more profit as well as success. 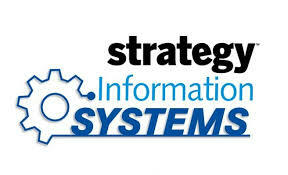 This report is based on strategic information system on business. Here, the main topic is e-commerce companies, and the company was taken is eBay. The first portion of the report is concerned with eBay background. The second portion is about different e-commerce implementation of eBay. The third portions describe the issues faced during e-commerce implementation. The last part is about the benefits of eBay during e-commerce application process. Collier, M. (2004). EBay for dummies. Hoboken, NJ: Wiley Pub. Collier, M., & Collier,. (2009). EBay. Hoboken: For Dummies [Imprint]. Hunt, V., Puglia, A., & Puglia, M. (2007). RFID. Hoboken, N.J.: Wiley-Interscience. Sinclair, J., & Spillane, D. (2004). EBay motors the smart way. New York: AMACOM.